So from what I can tell, if you want to make super smooth green smoothies you need a really fancy blender like a vitamix, for example. I thought that before making an investment like that, I should A. try this thing out first and B. give my cuisinart food processor a chance to impress me. I don’t own a blender at all, forget about a really fancy one, because I’ve found that my hand me down 25+ year old cuisinart handles all of my needs. This made enough for two of those glasses full. PS- I was also perusing GreenSmoothieGirl‘s youtube channel and found lots of good information, if you want to read/see more on the subject. 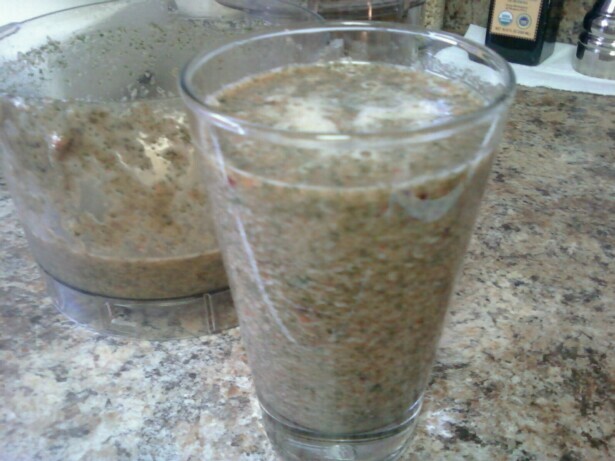 Thought I would include a link to my 1st time making a green smoothie in my Vitamix for contrast. You can see it here! Some days when I’m home I use my Vitamix 3 times. Green smoothie, tortilla soup, and cashew/almond chocolate sorbet. I carry it with me on the plane in case i need a spare engine too. Haha, I was just saying the other day how it’s true that you do end up using it for a lot of other things besides smoothies. 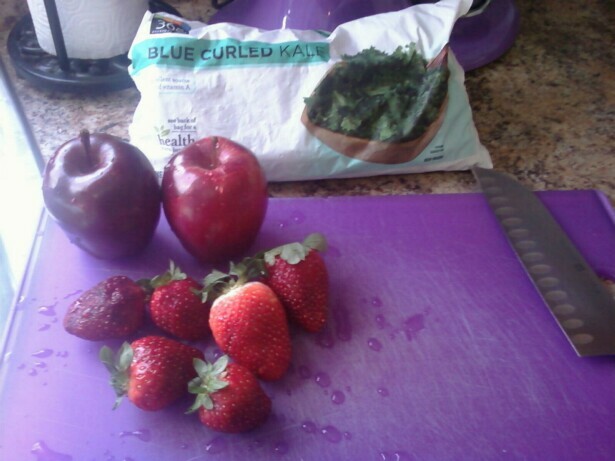 But really, for green smoothies, there is nothing better than a high speed blender. soups and dressings, and i even use it to make my pumpkin pies. I have a refurbished vitamix. I am SO happy with it and find it to be absolutely worth the price. To be fair, though, it was a wedding gift. Have you tried an immersion blender? 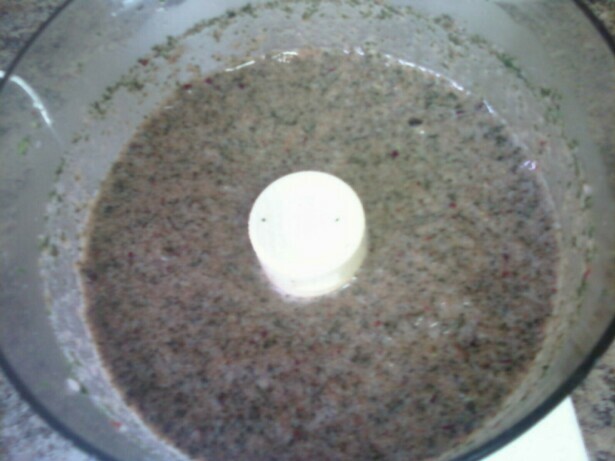 I do have an immersion blender, but I’ve only used it a handful of times, mostly for soups. 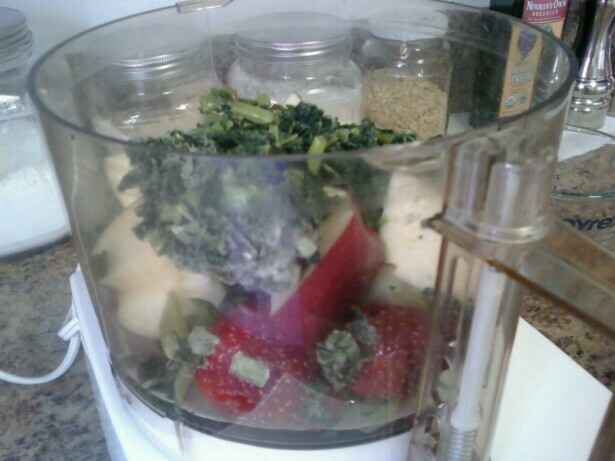 I love my vitamix. Whenever I’m eating high raw it becomes indispensable! If you’d left it running longer, do you think it would have eventually come out smoother? I too only have a Cusinart, and so far have made great smoothies with bananas, frozen fruit and soy milk, but I’ve not tried greens. nope! i tried it with a much newer kitchen aid one too, after a certain point it doesn’t get any finer!